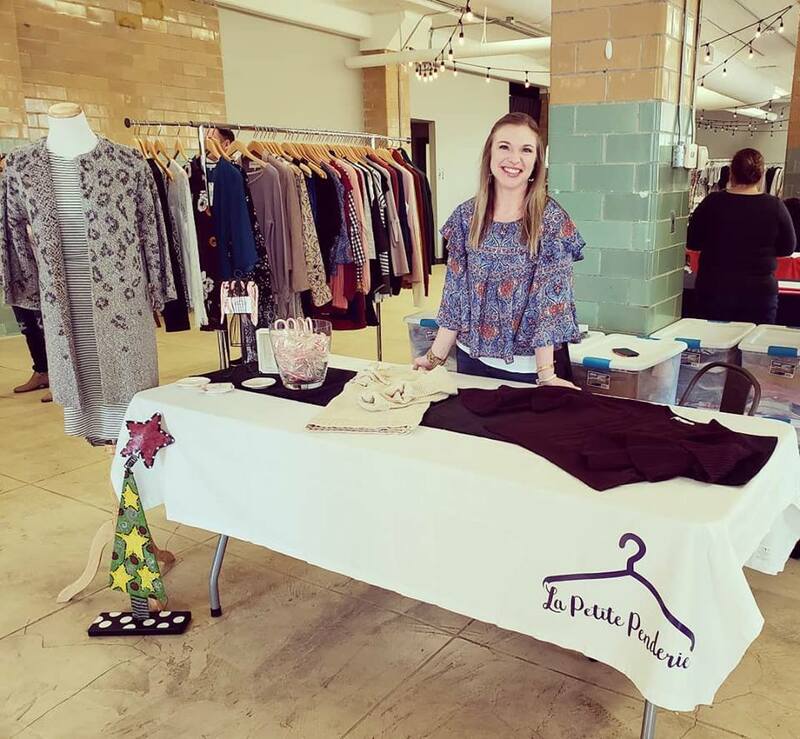 Home » fashion » La Petite Penderie Inc.
Courtney Andre is living a passion that dates back many generations in her family. The entrepreneur is the owner behind La Petite Penderie Inc, which means “the little clothes closet” in French. The passion and inspiration for La Petite Penderie comes from Andre’s grandparents – who always told her that she can do anything she wants. Andre says the idea of owning, building, and living her passion while helping others has been a motto in her family for as long as she can remember. La Petite Penderie sells handpicked, high-quality pieces that are unique. To ensure that the items she sells aren’t found on everyone around town, Andre receives between 3-6 sizes for most pieces. “Some of my pieces are for your everyday wear and every athleisure wear, some could be for special occasion, but all are made with fit and fabrics in mind,” says Andre. She wants people of every body type to feel comfortable in her pieces. As a CrossFit coach and weightlifter, Andre says she’s very conscious of items that stretch for curves but that also have a distinctive but timeless feature. “I carry a basics line with pima cotton, a denim line, a preppy-chic line, an ageless, everyday line, and will be carrying a brane new line called Week&,” she says. Prices for items from La Petite Penderie range from $28 to $100, but the average price is between $45 and $70. Andre prides herself and her business on carrying lines that are of high quality and stamina, and lines that make women feel their best. You can find La Petite Penderie at upcoming Cbus Chic events, including the Healthy Happy Hour coming up May 16. If you’re planning a girls night or other fun event, you can schedule a trunk show, where the hostess always gets 15 percent off. Andre says that for now she will continue to work on making her part-time venture a full-time business. To learn more about La Petite Penderie Inc, check them out on Facebook and Instagram. You can also contact Andre directly at lapetitependerie1@gmail.com or at 419-262-6221.